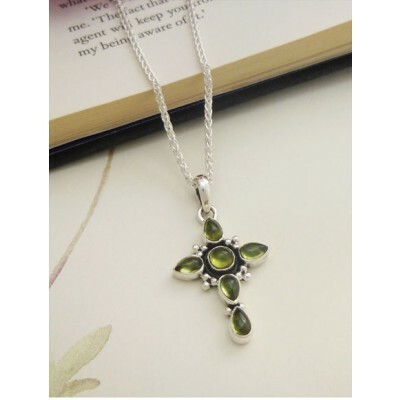 The Marlie Perodit Cross is has a strong look and feel set with six stunning peridot gem stones in a sterling silver cross. The peridot gem is a green colour with an olive hue and features a strong black and silver setting to create a focal point that is deep and meaningful. Peridot is the gem stone for August, a perfect gift for an August lady, popular worldwide with historic uses from England to Hawaii. The Guilty Marlie peridot is perfect as a present to reflect a faith or a present with meaning and though, a strong and bold green necklace pedant that catches the eye. The Marlie is has 6 peridot gem stones set in UK hallmarked 925 sterling silver, the pendant measures 37mm in length and 21mm in width. 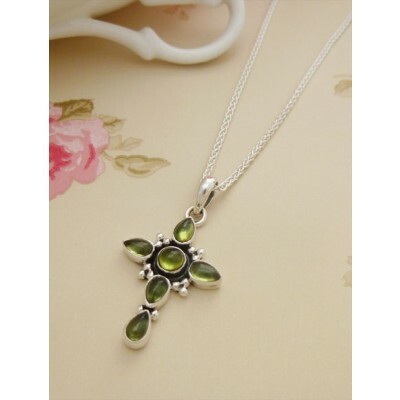 The green cross pendant sits on a 51cm sterling silver necklace chain that is also hallmarked in the UK. 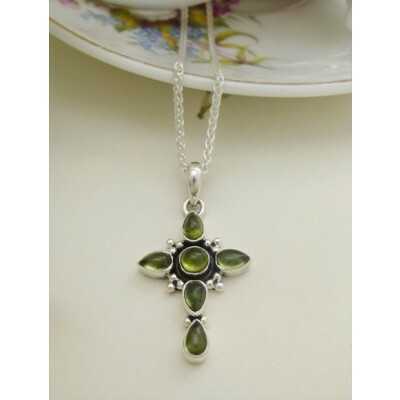 6 peridot gem stones set in UK hallmarked 925 sterling silver cross. 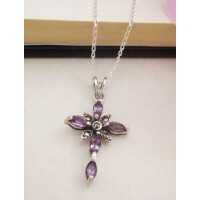 The green cross pendant sits on a 51cm sterling silver chain.